The Tactics Board - Deep-Lying Playmaker needs for MUFC? 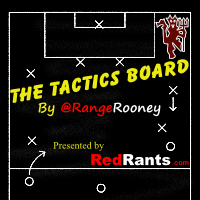 The Tactics Board- Deep-Lying Playmaker needs for MUFC? There are several midfield roles that Manchester United has needed to address this summer, and they solved one of them early on. Shinji Kagawa showed considerable talent as an attacking midfielder in the past two seasons. Playing just behind the lead striker, he was able to score 13 goals and 8 assists in 31 Bundesliga appearances this past season. He has appeared as a strong scoring threat, to go with his talent for creating goals for others. His main issue in 2011/2012 was his problems with his teammate, Borussia Dortmund’s main striker, Robert Lewandowski, who Kagawa claimed was selfish and unwilling to play the ball off when he was the better option. Even through this conflict, he was able to score 13 goals to show what a dangerous scoring threat he is. A creative attacking midfielder was a position that needed filling for Manchester United, as the only other options were an aging Ryan Giggs and Tom Cleverley, who has struggled with injuries and who could perhaps better be used in a deeper central midfield role. With the attacking midfielder role filled, one of the roles most desperately needing to be filled is that of a deep-lying playmaker. The deep-lying playmaker is a role that has become more common with the increasing dominance of the 4-2-3-1 formation. In a 4-4-2 formation, the two central midfielders played in one of two different ways. The first was that they both functioned as box to box midfielders, where they have equal offensive and defensive skills and are both equipped to make the forward runs necessary to assist the strikers in the box. The other option was that one of the central midfielders stayed deep, as a defensive shield or ‘destroyer’, and the other central midfielder was primarily focused on the offensive tasks as the ‘passer’. The ‘destroyer’ had very little offensive tasks, and primarily stayed deep to ensure that he was in a good defensive position. The ‘passer’ was the midfielder with the offensive skills, who is responsible for the offensive runs forward and also contributing the creative spark necessary to feed the ball laterally to the wingers or forward to the strikers. The midfielders in 4-2-3-1 are used differently than in the 4-4-2. In the 4-2-3-1, the central midfielders tend to be more specialized. There are 3 central midfielders in the 4-2-3-1, with two central defensive midfielders(CDM) sitting deep in front of the defensive line and 1 central attacking midfielder(CAM) behind the lone striker. The CAM is an offensive player, typically the creative outlet to lead the team’s attack. The CDM typically sit very deep, and their main responsibility is to provide defensive cover. Some teams will play with CDM’s who have very little offensive skills, and who are only used to help control possession and move the ball laterally, but it is becoming more common that one of the CDM will remain a defensive specialist and the other will function as a deep-lying playmaker. The deep-lying playmaker functions between the opposition’s defensive and attacking line. He sits deeper than a standard central midfielder, and is a talented passer; Not just short and quick passes that are the main weapon of a central attacking midfielder, but he’s also responsible for playing long passes to switch the play to the other flank. He needs to be able to bypass an opposing defense by playing a ball over top or a through-ball to split the defense. The lobbed balls are often played diagonally out to the wingers, while the through-balls are often played to a quick forward to receive the ball in space. As important as his passing skills, the deep-lying playmaker needs to have excellent vision and tactical awareness. Being able to deliver the sharpest pass is meaningless if the midfielder can’t read the game, and pick out the right player to play the pass to. This means the deep-lying playmaker needs to keep his head up, looking down the field for the open player, while also being comfortable with the ball at his feet. Additionally, he also needs a good first touch, with the dribbling ability to play the ball out from the back with confidence. With good creativity and passing skills, the deep-lying playmaker also needs to be a competent defender. Another attribute expected in many deep lying playmakers is accurate long range passing. Some deep-lying playmakers have good long-range shooting skills, and they can score the occasional highlight reel goal, but they rarely make forward runs as they are needed to shield the defense. They either do this alone, or, in formations like a 4-2-3-1, with another central defensive midfielder who helps them to ensure the opposition doesn’t have gaps in front of the defensive line to take advantage of. In Italy, they have a special variety of the deep-lying playmaker called a regista. A regista is an Italian term for a midfield playmaker, who often tends to be a deep lying midfielder. The literal definition of the word is ‘Director’, and this player is expected to sit deep and direct the attack. He is allowed to move freely, both laterally and vertically on the pitch. His attacking skills are similar to most other deep-lying playmakers (good creativity, vision, short-range passing, accurate long passes, and ball control), but the main difference comes from the defensive responsibilities. In most countries, the deep-lying playmaker is expected to put in a good defensive effort, but the regista is almost entirely focused on the attack. He’s able to do this because he often has one (or more) midfielders alongside him to cover the defensive tasks. His focus on the attack is very similar to a trequartista, with the difference being that the regista does his work from a much deeper position than the trequartista. A great example of a typical regista is Andrea Pirlo. He tends to be fairly mobile, able to move along the entire width of the pitch to support the fullbacks as well as push further up the pitch to link with attacking players. In the 2011/2012 season, Pirlo picked up 15 assists in 49 appearances. He averaged 3.1 key passes a game, while completing 87.1% of 78.5 passes a game. His passing skills can truly be appreciated with his 10.1 long balls a game. He serves as a prototypical regista, with his exceptional passing stats but his defensive stats are much lower than you will find from deep-lying playmakers in other countries. This transfer window has been filled with rumors linking Manchester United with deep-lying playmakers, such as Tottenham’s Luka Modric or Real Madrid’s Nuri Sahin. The Red Devils have been linked with players like this as they hope to bring in some younger reinforcements, all while currently having two of the most effective deep-lying playmakers in the world in Michael Carrick and Paul Scholes. Both Paul Scholes and Michael Carrick are quality deep-lying playmakers, but they aren’t clones and they interpret the deep-lying playmaker role in 2 different ways. Paul Scholes certainly didn’t start as a deep-lying playmaker, as early in his career he played as an attacking midfielder and striker. He excelled in this role in the 1990s and early 2000s, but as he got older and lost some of his pace and stamina, his starting position started to move deeper into the midfield. While he may not have the speed he had earlier in his career, his ball-handling and passing skills have only gotten better. Watching Paul Scholes, his style of play in the central midfield is close to an Italian regista. At 37 years old, he has lost some of his speed and stamina, but he is just as dangerous with the ball at his feet. He always has his head up, looking downfield for the next pass. He has great vision, and the tactical intelligence that allows him to read the game and play passes that takes a defense apart. He’s extremely accurate, both with his short passes and his long passes, as he averaged a 93% pass completion rate and averaged 9.5 long balls a game in 2011/2012. He attempted 184 long passes in 17 Premier League appearances, and he completed 125 of them, giving him a 67% success rate. Because of these skills, Sir Alex Ferguson uses him in the deep midfield to help control possession. He will play the ball from flank to flank, with accurate passes that help United build pressure on the opposition, but he’s equally capable of playing long diagonal passes out wide to the wing when the opening presents itself. He’s skilled with the ball at his feet, with a deft first touch, and his accuracy and ball control leads to very few turnovers. Paul Scholes put up many impressive stats this past season, but his most impressive stat has to be just 10 turnovers in 1,169 minutes. It’s rare to see Scholes take more than 2 touches with the ball, as he will quickly play a pass to catch the defense off-guard. This gives him a great advantage, as many playmakers need to take several touches on the ball before playing their next pass, and this gives the defense time to apply pressure and close down passing lanes. Against Aston Villa in April, 2012, Scholes had 79 touches during the game, and 67 passes. His vision and quick passes cause problems for the defense as he can quickly move the ball from flank to flank to split a defense. The 37-year old former English international plays very similar to an Italian regista, but his defense has improved over what is typical for a regista. Early in his career, Scholes was well known for some rash tackles and picking up untimely yellow cards. This continued as he dropped deeper into the central midfield, but last year he showed that his defense is much improved. He averaged 2.3 tackles a game, and 1.4 interceptions, while only picking up 3 yellow cards in 17 appearances. He still has times when his emotions can get the best of him, but his positioning and timing improved and this was shown in a success rate of over 50% in possession duels. Michael Carrick came to United in June of 2006 from Tottenham Hotspur to replace Roy Keane, the former club captain. The transfer was initially £14 million, but it eventually rose to just over £16 million with his performance for the club. At Tottenham, and West Ham before that, he tended to play fairly forward in the central midfield, but when he came to Old Trafford, he was dropped deeper in the midfield. 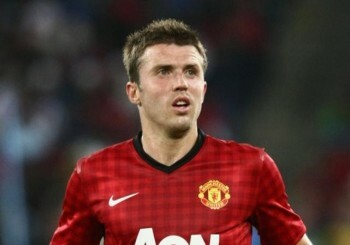 Paul Scholes plays very close to a prototypical Italian regista, but Michael Carrick plays differently. Carrick excels offensively with his movement, short-range passing, and his calm tactical awareness. He doesn’t get flustered, and he turns the ball over even less than Scholes. Carrick is as accurate with his short-range passing as Paul Scholes, completing 90.1% of his passes, but his long-range passing skills aren’t quite as sharp. Scholes averages 9.5 long balls a game, while Carrick averages 6. He does a great job helping the Red Devils to control possession, and move the ball laterally in hopes of stretching a defense out, but he struggles to play the long dangerous diagonal passes to unlock a defense like his teammate. He is still capable of playing the incisive pass to unlock a defense, but they aren’t as frequent as you’d get from his 37-year old teammate. The part of Michael Carrick’s game that really makes him effective is the quality defense he plays to pair with his offensive talents. He reads the game well, and positions himself to close down passing lanes for the opposition. He led the Red Devils in the 2011/2012 Premier League season with 2.4 interceptions a game, and he would also block 0.5 shots a game as a central midfielder. His ability to read the game, and position himself appropriately also allows him to make quality tackles without giving away fouls. Averaging 3 tackles a game, only Rafael ended up averaging more tackles than him per game last season. His strong defensive abilities, combined with his playmaking and passing skills, have made him an important part of Manchester United’s midfield, and one of the best deep-lying playmakers in the world. With the rise of formations using deep central midfielders, such as 4-2-3-1 and 4-1-4-1, the deep-lying playmaker is become an important commodity in today’s game. 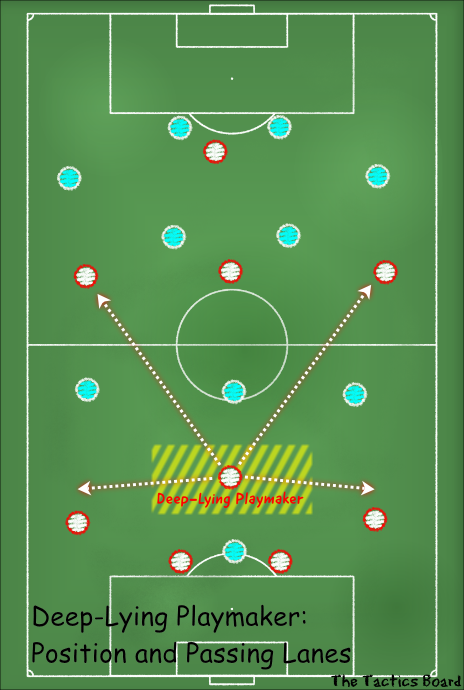 Most teams have a playmaker further up the field, directing the attack into the box, but having somebody with the vision and passing skills sitting back deep in the midfield makes it easier to control possession, and launch attacks to unlock the defense before they get a chance to settle in deep. The deep-lying playmaker has a good view of the pitch, and often has more time on the ball than the advanced playmaker to pick out his passing options. Watching a team play with a deep-lying playmaker, against a team who is just fielding 1 (or 2) standard defensive midfielders, makes it easy to see the advantages the deep-lying playmaker offers. A good example was in the 2011/2012 Champion’s League Quarter-Finals, between Real Madrid and CSKA Moscow. Now, CSKA Moscow was always going to be outgunned by the big spending Spanish giants, but the way that Real Madrid was able to dominate possession, control the game, and launch attacks at will owes much to the quality of play by Xabi Alonso. A lot of attention has been paid to Mesut Ozil, the excellent attacking midfielder they acquired from Werder Bremen, but Xabi Alonso has had an equally important role in Madrid’s success. There seem to be two different styles of deep-lying playmakers, with one becoming more dominant and the other becoming an endangered species. Deep-lying playmakers in the mould of Paul Scholes, Andrea Pirlo, Xabi Alonso, Xavi Hernandez, and Luka Modric, seem to be fairly rare and hard to find. These are the players that can sit deep, and direct their teams attack. They are exceptional short and long-range passers. They have superior vision, and the tactical awareness to play the perfect pass at the perfect time. Defensively, they often range from poor to competent and are often paired up with another more defensively minded midfielder. The other deep-lying playmaker is becoming more common, and these are basically defensive midfielders with improved passing skills and creativity. Michael Carrick, Sergio Busquets, Bastian Schweinsteiger, Alexander Song, and Thiago Motta are all these type of skilled passing defensive midfielders. They don’t have the passing skills to succeed at the long passes like the other type of deep lying playmakers. They also won’t pick apart a defense as easily, as their vision and creativity aren’t quite as sharp, but they have much better defensive skills than a typical regista will. They also don’t need another defensive midfielder playing alongside them, like a regista will, and this gives the team more flexibility. With more formations requiring defensive midfielders, the demand for deep-lying playmakers is growing faster than the supply and it’s causing the transfer fees for the available playmakers to rise fast. This seems likely to continue for a while, until youth academy’s start training more deep-lying playmakers or a new formation comes along that does away with the position. Currently, Manchester United is very fortunate to have 2 of the best deep-lying midfielders in the game, but with one 37 years old and the other 31 years old, it is also the time to try and find one for the future. 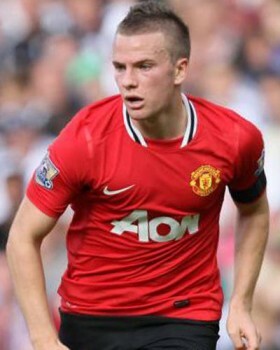 The current hope is that Tom Cleverley will be a deep-lying playmaker, with similar skills to Paul Scholes. Unfortunately, if this doesn’t work out, the funds required to bring in a deep-lying playmaker is likely to limit United’s prospects. Previous Article← No Lucas Moura? Where Do Manchester United Look To Next? Great Read. Providing he stays fit, I honestly think Cleverley can become a great deep-lying playmaker for us next season. We all seen the impact he made in the few games he did feature in for us. However, it’s not very often Cleverley plays long passes. He likes to keep it short and is constantly on the move. If SAF was to add to the centre midfield position this Summer, i’d like to see either, Ever Banega, Nuri Sahin or Tom Huddlestone, who, in my opinion is very underrated. No, only a couple of decent defenders are what Utd need. Evans, Evra, Ferdinand, Rafael showed claerly they are not good enough. Period. @John Tring: Not capable? We conceded only 33 goals in the league last season. Evans had a great season and so did Rio. Rafael played well with Vally, not sure where you are going with that one. Period. i dun think xavi is a deep lying playmaker. Although he always come deep to get the ball, his original position is not a defensive midfielder. Busquets should be the deep lying playmaker in barca who sits deeper than him in the formation. I think xavi should be classfied as a central midfielder. to add some defensive bulk and energy to the middle, I’d like to see Jones given a chance if Cleverly is not available. He likes to get forward although his passing needs improvement. No need to rely on him at right back with the likes of Rafael and Smalling as cover. Great read. I liked the bit you wrote on the regista. I’m not sure EPL would allow registas to flourish as the tempo is much faster. The amount of time enjoyed by the playmakers in Italy is like a dream to somebody in EPL. In Italy, players stroll to the opposition defense and it’s more of a tactical game. But any which way, there definitely is a need for a playmaker at Man Utd. I don’t think Cleverly would be the playmaker but let’s see. Pingback: Tom Cleverley - Can he really get as good as Xavi and Iniesta?